Fr. Anthony is a native of Lodi, NJ. He is a graduate of Don Bosco Prep and Seton Hall University. He studied theology at the University of Leuven, Belgium, eventually earning a License in Sacred Theology from the Pontifical Gregorian University in Rome. Fr. Anthony was ordained November 22, 1986, and assigned to Our Lady of Mercy Church, Jersey City, for ten years. Then, he served 18 years at Notre Dame Church, North Caldwell. I have been privileged to serve at Holy Trinity parish since September 1996, and I have found a real home here. I am filled with gratitude for Christ’s goodness so evident to me in the parishioners. During this same time I have served at Immaculate Conception Seminary, the School of Theology of Seton Hall University in South Orange, as a teacher of Systematic Theology, specifically in the field of Liturgy and Sacraments. I am a graduate of Delbarton, Yale (B.A. ), my own seminary (M.Div.) and The Catholic University of America (S.T.L., S.T.D.). I have maintained a particular interest in the contribution of Blessed John Henry Newman, the 19th Century English cardinal, and in ecumenical dialogue through the privilege I enjoyed of being a Vatican-appointed member of the Joint Commission for Dialogue between the Roman Catholic Church and the World Methodist Council. My principle ministry has long been serving as the seminary’s Spiritual Director, which gives me the grace of closely accompanying seminarians, religious men and women, lay students, priests and others in their lives of prayer. During summers I have enjoyed the privilege of teaching and ministering spiritual direction to seminarians from throughout the U.S. and Canada at The Institute for Priestly Formation at Creighton University in Omaha, Nebraska. I am very grateful for the graces I have received there, at the seminary and at our parish. Deacon Tom and his family joined Holy Trinity in 1970. He and his wife, Barbara were married in 1965 and have three daughters, Ellen, Erika and Jessica and six grandchildren: Arabella, Luke, Colette, Ethan, Jack and Will. A graduate of Rutgers University, he worked in environmental protection at the local, state and international levels. Deacon Tom began his third career as a full-time deacon here at Holy Trinity in 2000 as ministry coordinator along with his regular liturgical duties of baptizing, preaching, witnessing marriages and conducting wake services. He was ordained in May, 1992. Life in Pieces is his favorite television show. Ordained in 2005. Lifelong Resident of Westfield. Married to Terry and father of 5 children. My Vocational call is a 'Washer of Feet' in a variety of service missions. Available to enjoy an afternoon of Golf. Marguerite is excited to take on the challenge of children’s Faith Formation at Holy Trinity! She has worked in the office as the administrative assistant for 7 years and has been a catechist in various grades and programs for over 20 years. Marguerite and her husband John have 5 children, from high school through young adults, who have all participated in the Faith Formation programs at Holy Trinity. Marguerite likes to travel to visit historic sites and spend time with her large extended family—18 nieces and nephews, 7 siblings, and lots of in-laws. I have lived in Westfield for the last 17 years. I was born and raised in Jersey city. I have been a parishioner at Holy Trinity Parish for 17 years. I am married and have a 21 year old daughter. I have been a catechist for the last 8 years and also worked at Holy Trinity School. I recently became the Administrative Assistant in the Faith Formation office. I love sharing my faith with the children of our parish. I love spending time with family and friends, and getting together with them as as often as I can. I am fortunate that my sisters and I live in the same town and our kids have had the opportunity to grow up together. My favorite place to be is on the beach! I enjoy cooking and love Italian food.My other guilty pleasure is reality Television, I am a Bravo super fan! Patricia is a proud native of Jersey City New Jersey. After graduating from St Dominic Academy in 1983, she realized that being a miniature goat farmer in Buck County PA was not in God’s plan for her, so she pursued a higher education and then began her career in mental health counseling and social work. Patricia was first invited into Youth Ministry while a young adult parish member of Our Lady of Mercy in Jersey City. At that time Holy Trinity’s former pastor, Msgr. 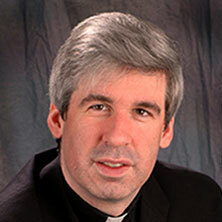 Joseph Masiello, was pastor of OLM and Holy Trinity’s current pastor, Fr. Anthony Randazzo, was a parochial vicar on his first priestly assignment. In 2000 Fr. Joe invited Patricia to Youth Ministry at Holy Trinity. Though Patricia has not fulfilled her lifelong dream of being a miniature goat farmer, she is quite happy and content to assist the Good Shepherd. Donna joined Holy Trinity in 1997 as the school secretary at Holy Trinity School. In 2007, she moved across the street to take the position of administrative church secretary – and we don’t know what we do without her! With her kind and peaceful demeanor, Donna welcomes and helps parishioners, while continuously assisting the staff, and keeping the church office and building going. She has been married to her husband, Vinny, for 39 years and has two grown sons and a wonderful daughter-in-law. In her spare time, she enjoys warm weather, cooking and shopping. 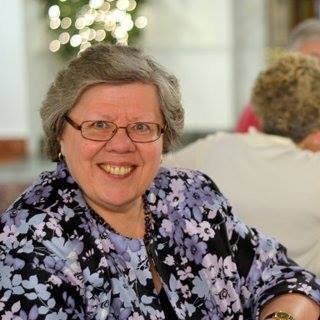 Pat leads church choirs, accompanies Mass on organ and piano, and overseas special liturgies and programs. She offers private lessons from her studio and teaches Elementary School Band for the Wayne Public School District. For pleasure, she is an avid concert goer, loves to cook, read chamber music, and walk her dog, Zoie. She holds a BA from Boston Conservatory at Berklee and an MA from Rutgers University. Pat is a lifelong student of professional workshops to support her responsibilities and curiosity. Her venues as a soloist, accompanist, and member of a chamber music group includes libraries, churches, and radio in the tri-state area, as well as Boston and San Diego. Innovative programming has been her passion and signature as an artist. As music director, Pat welcomes musicians of all ages, levels, and musical styles to participate in any church project that complements their schedule. She is grateful for the opportunity to serve the community at Holy Trinity and dreams of developing an outreach music program and contributing to the artistic life in Westfield. Sara Hedgepeth has been directing the Contemporary Ensemble since the early years of this millennia! A long time! The Ensemble started when Sara chimed in at a Liturgy meeting, "Hey, I play the piano. Can we do a group that's more piano-centric than organ-centric?” The rest is history. When she's not leading music at Holy Trinity, Sara works full time in Development at The Shakespeare Theatre of New Jersey in Madison. Music and theatre have always figured prominently in her life. She created the McKinley Kapers at McKinley School on First Street which is going strong in it's 21st year and founded Hedgehog & Feather Theatre Company, a children's theatre company in Westfield, which ran for 10 years. In addition to piano she plays accordion and various odd percussion instruments. She is married to Tom Schaefer (Contemporary Ensemble tenor and flutist) and has three incredible adult children (Jane, Kelly and George Braun) who all got corralled into playing or singing in the Ensemble at various times! Come and join this wonderful, loveable bunch of musicians! A lifelong resident of Elizabeth, serves as Adult Faith Formation Coordinator at Holy Trinity. After a short stint teaching in parochial schools, Kathy embarked on a career with the Social Security Administration retiring to concentrate on parish ministry. Kathy garnered an MA in Pastoral Ministry from Immaculate Conception School of Theology at Seton Hall focusing on faith formation and completed a course in Liturgical Studies at Felician College. During her 23 years directing Faith Formation programs for children, Kathy saw the great thirst of adults for deepening their faith and now devotes her attention to fostering lifelong learning of the adult believer. Adult faith formation focuses on Worship, Word, Witness and Welfare. Having organized ‘Sacred Yarns’, a knitting & crocheting ministry that supplies palliative care patients with lapghans & shawls, Kathy is intent on honing her basic skills in order to equate to the handiwork of the many women mentoring her in these crafts. Despite voices to the contrary, she doesn’t work exclusively with PURPLE yarn – although it is her favorite color! Other favorites? Tea, shrimp, books and her many nieces & nephews & their kids…not always in that order! Marina is excited to be serving the Lord at Holy Trinity Church as Communications Director! She studied at Quinnipiac University and graduated in 2014 with a degree in Film, Video and Interactive Media. She studied abroad in Ireland attending University College Cork in Cork Ireland (there wasn’t much studying she mostly traveled). Marina has been working in church media for about three years taking photographs, filming and editing video, creating graphics, managing social media, and maintaining websites. She’s also one of the leaders of St. Helen’s Young Adult Ministry for young adults in their 20’s & 30’s. When Marina’s not taking photographs she’s outside hiking, watching sports or petting dogs. Her favorite sports teams are the Chicago Cubs, the NJ Devils (not that devil!) and she also avidly watches professional bull riding.